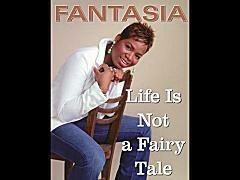 American Idol Winner Fantasia Barrino has a new book out called, "Life is Not a Fairy Tale." Although she is getting a lot of slack for her honest candor about her experience in her hometown, the book is very well written. 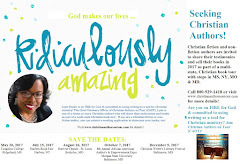 It is not only inspirational, but the book is really her own testimony on how she overcame some tremendous life barriers and developed a relationship with Christ on her road to stardom on American Idol. I would recommend this book to everyone, especially young people. This would be a good book to use for a book discussion as part of a teen youth ministry. Fantasia is extremely honest about her own illiteracy and other issues impacting young females. She also touches on a sensitive issue when she admits that her baby's daddy is a PK (Preacher's Kid). Each chapter ends with a faith statement by Fantasia, a scripture, and a summary of the main lessons she learned from the experiences she shared in the chapter. I was really impressed with the book. I am so proud of Fantasia and am even prouder that she has made a public declaration regarding her love for Christ. In her own way, Fantasia's book minister to readers using her life story as a link to scriptural references that help people understand God's connection in their lives. 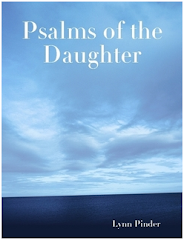 It took courage and faith to share her story as she did in this book. Please keep Fantasia Barrino in prayer. Pray that the love of God and the Holy Spirit continues to be an active part in her life and the lives of her family. Pray for her protection and victory over any and all tricks of the adversary. Pray that she perserves in her educational pursuits to obtain her GED and to attend college. Be sure to Buy Fantasia's Book!